Cyrus Stream XP2-QX review | What Hi-Fi? 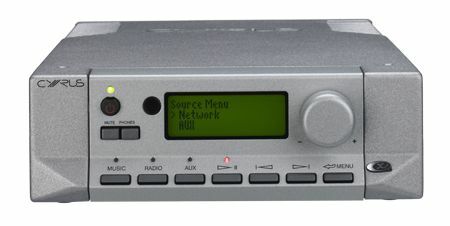 The Cyrus XP2-Qx is an all-in-one music streamer, DAC and preamplifier, and is being hailed as the flagship of the company’s streaming products. It’s an upgraded version of the Stream XP (£2000), and the extra £300 marks the inclusion of Cyrus’s top-end Qx DAC. The company’s streamers have all enjoyed a software upgrade. They can now stream high-resolution files up to 24-bit/192kHz (up from 24-bit/96kHz), and can now handle Apple Lossless tracks, too. Cyrus also provides a slick dedicated controller, the ‘n-remote’, with a built-in colour display that shows artwork, menus and track information. It’s not as intuitive as a smartphone app would be, but it’s handy having all the track information to hand. Stream Massive Attack’s Teardrop and the Cyrus doesn’t lose a single ounce of the ethereal vocals. It has all the hallmarks of the Cyrus sound: detail is breathtaking, the timing is razor sharp but never clinical, and the delivery is fast and uninterrupted. There’s plenty of space at the top end for the music to reach a natural high without ever feeling strained or getting too bright, while basslines are agile and strong. The Stream XP2-Qx serves up an energetic, enthusiastic and truly immersive performance, with both the Qx DAC module and improved software proving to be worthwhile additions. We’d have absolutely no problem dishing out the extra cash for this fantastic streamer.